PachaMama has been home for Gaya for nearly 20 years. 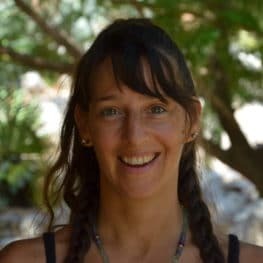 She attended her first yoga group 22 years ago, and since then has trained and practiced in many modalities of therapy, healing arts, and emotional release, and regularly holds emotional release classes and co-leads therapy groups in PachaMama. After being diagnosed with an autoimmune disease (Hashimotos), she began to explore the nature of the bodyâs processes and the effects of nutrition on health. Her aim is to help empower others to make educated decisions on health, nutrition, environmental toxins, and their consumption behaviors. Gaya is currently a student of the Integrative Nutrition Institute in NYC and a co-leader of the Detox Body Cleanse groups in PachaMama.